Many startups don’t have a lot of cash to waste and must manage their cash burn and cash flow. Co-founders need funding to stay afloat and to scale operations and marketing. TECHCFO has right experience and can help you get there! Startup founders and CEO have no time or expertise to manage this critical function. TECHCFO Services can support your needs with on demand CFO services, freeing up your time to focus on growth strategies. We’re using best of breed accounting partners such as Quickbooks, XERO, Freshbooks, MYOB, Bills.com, Wave and many others. Utilizing cloud technology allows us to be more time-saving, which saves our clients valuable time and money. Michael is an experienced licensed CPA, Certified Public Accountant from New York. He has over 9 years experience in fund administration for hedge funds and private equity funds with hundreds of millions in assets. His expertise and consultation has helped many small businesses, IT startups, as well as Billion dollar Hedge funds. 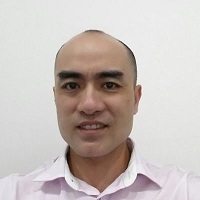 He is a Quickbooks ProAdvisor and also Xero Certified. His previous experience at PricewaterhouseCoopers LLC, CITI Private Equity Services, BNY Mellon, and Och-Ziff Capital have gained him extensive knowledge of US GAAP and IFRS. 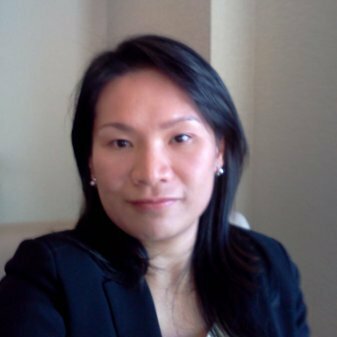 Ching has over 13 years of experience in the financial industry. She is currently a Controller for Sperry Credit Union, in New York. She has managed and oversaw billion dollar funds through her experience with Citi Private Equity Services, Inc. Her well rounded knowledge and expertise is highly valuable to organizations small and large. 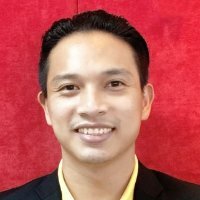 Vincent brings over 15 years experience of management, sales and business development, marketing, and operations. He graduated from University of St. Thomas, in Minesota, with a business management degree. He has owned several small businesses and understands the specific needs of Entrepreneurs to manage their books accurately. He strives to create solutions that are cost effective, efficient, and timely for the small business owner in many industries. His goal is to reduce and simplify the process of bookkeeping and accounting set up for the small to medium size businesses. Entrepreneurs will be less stressed knowing they have their books managed by experts, and they have more time to grow their business. They will be able to have their books managed by experienced professional, and reviewed by CPAs, all for an affordable rate, without the need to hire a fulltime accountant in house. At GBO, we believe that the key to our success is through contribution and good works. We are blessed to work with amazing organizations and professionals, and strive to give back as much as we can.